We have a fun line-up of artists joining From the Summer's Garden for our Spring Sale, Breath of Fresh Air. This Saturday, May 2, we will be featuring two special Creative Workshops at our Opening Day Garden Party. Artist Robin Mackintosh will show you how to make really cool fridge magnets from beautifull decorative papers for Mother's Day. 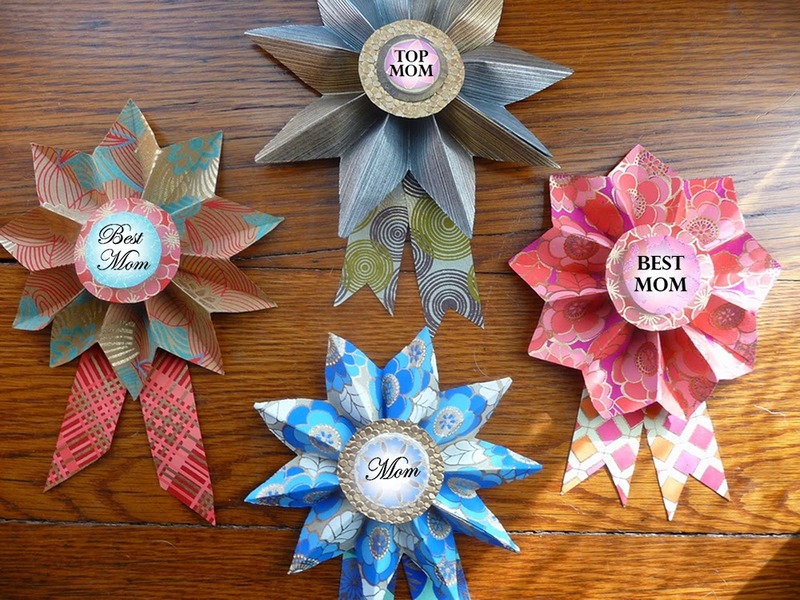 Remind Mom how much you love her everyday! Make her this charming magnet, so that every time she opens the fridge she will think of you! Sunburst shaped medallion made from handmade recycled paper. 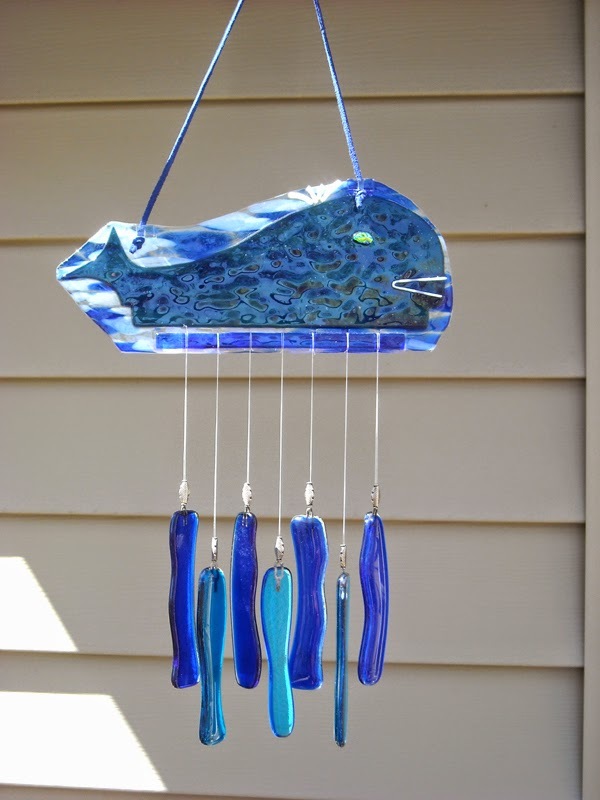 Jane Hosey-Stern the talented, witty proprietor of Junque Drawer Boutique in Olathe, will help you make a handmade beaded bird chime. How cool is that? Come join the fun, it will be a beautiful day in the garden for a BREATH OF FRESH AIR Saturday, May 2 from 10-2 at From the Summer's Garden. We'll be open every Friday, Saturday and Sunday in May from 10:00-5:00. It is always exciting when Leanne from South 20 Studios comes to set up for our spring sale. She is always full of surprises and strong concepts and everything she makes is one-of-a kind. The learning here is that if you like it, buy it now because it is very likely you will not see another exactly like it again. 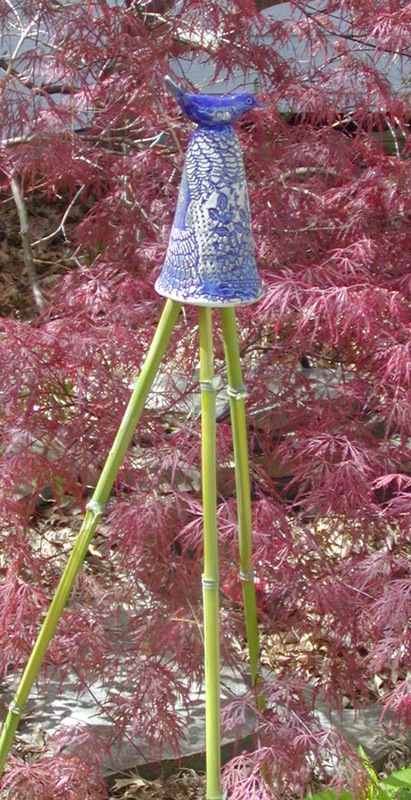 Leanne's garden stakes are unusual, extrememely well-made and make an awesome gift for yourself or someone on your list. Check out the work of 14 area artists as we open BREATH OF FRESH AIR, our spring sale, this Saturday, May 2 from 10:00-5:00. 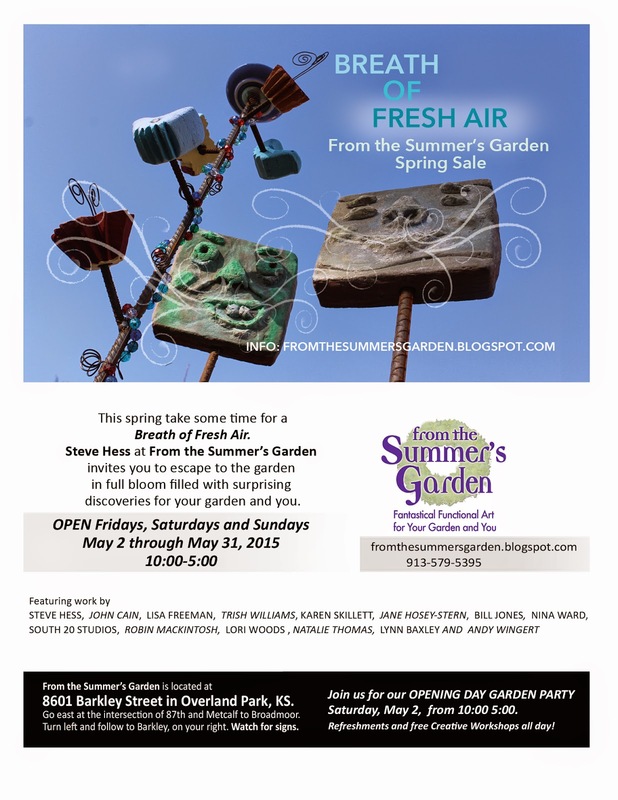 Steve Hess at From the Summer’s Garden invites you to escape to the garden in full bloom filled with surprising discoveries for your garden and you. Join us for our OPENING DAY GARDEN PARTY Saturday, May 2, from 10:00 5:00. Refreshments and free Creative Workshops all day! 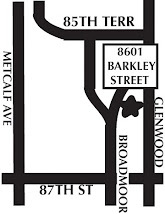 8601 Barkley Street in Overland Park KS 66212 913-579-5395. 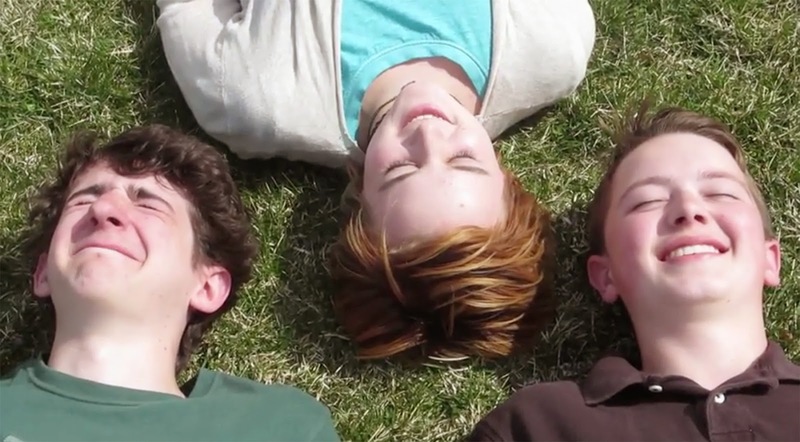 ANDY, CRISTI AND NICKOLAS ARE JOINING US FOR THE FIRST TIME THIS SPRING AT Breath of Fresh Air. 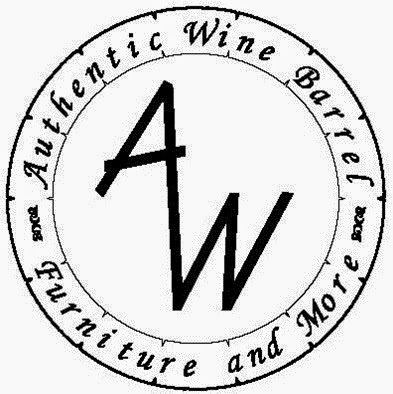 The three of them have ingeniously re-purposesd wine barrels into amazing things you'll want to see for yourself. Opening Day is this Saturday, May 2 from 10-5. The garden is ready and waiting for you! 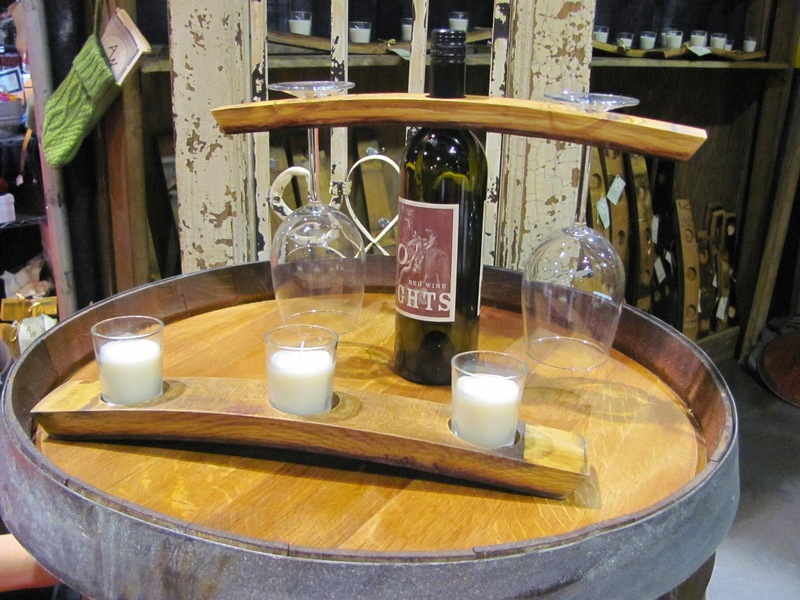 ALL ITEMS ARE HAND MADE FROM RECYCLED WINE BARRELS IMPORTED FROM THE CALIFORNIA WINE COUNTRY. EACH STAVE IS SANDED BACK TO THE ORIGINAL WOOD TO SHOW THE WONDERFUL WOOD GRAIN, HIGHLIGHTING WHERE THE METAL BANDS THAT ONCE HELD THE BARREL TOGETHER WERE, AND THEN SEALED WITH URETHANE. THE UNDERSIDE IS STAINED FROM THE WINE PREVIOUSLY HELD IN THE BARREL. 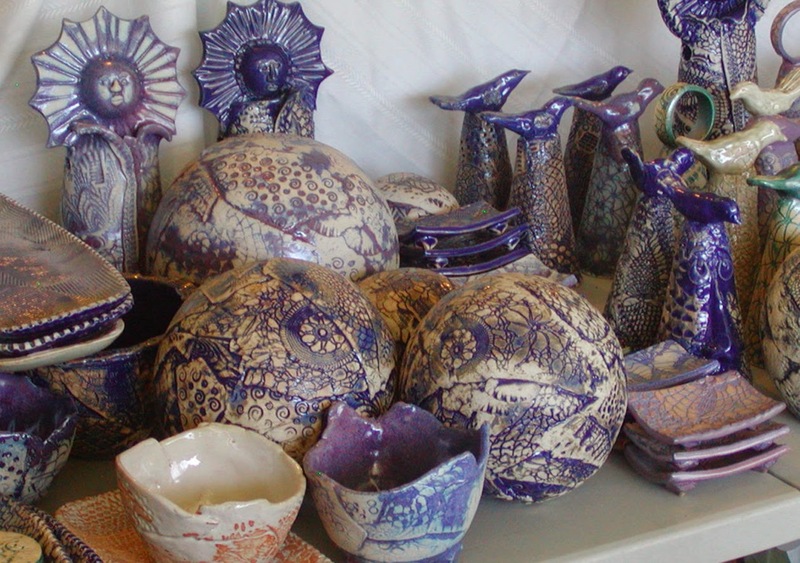 EACH ONE IS INDIVIDUALLY UNIQUE – NO ONE STAVE IS THE SAME – THERE ARE LOTS OF VARIATIONS IN COLOR, GRAIN AND DIMENSION. 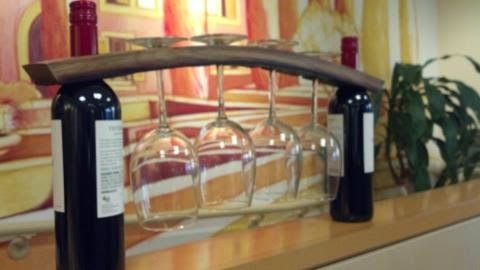 For the wine lover who has everything! 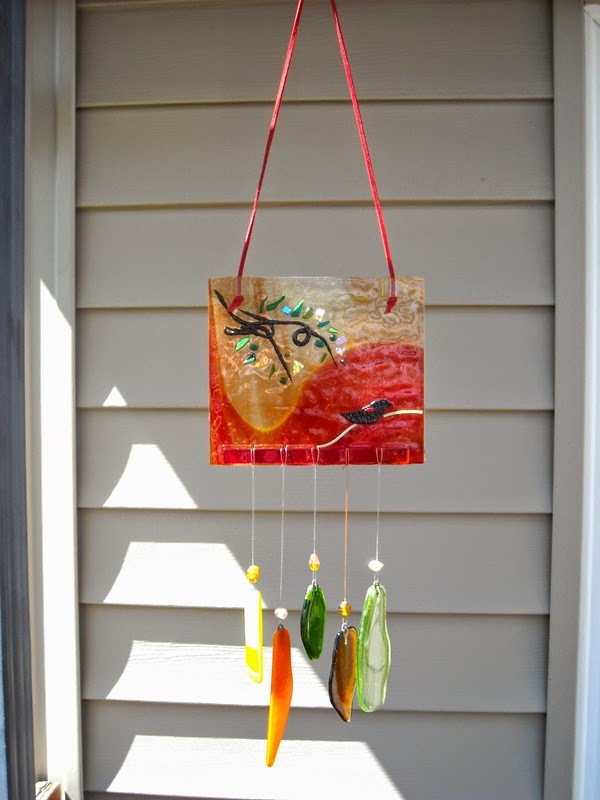 Here’s a simple but cool project for spring! You can put together this container totem in just one day. The component parts are inexpensive and you may find most of them lying around your house and garden. 1. 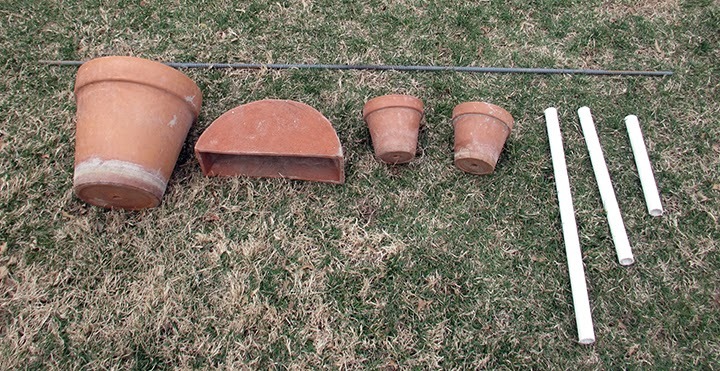 4 terra cotta flowerpots with at least a ½ inch drainage hole in the bottom. It looks best if you have a large pot for the bottom, a medium pot and two smaller pots for the tops. Don’t choose really small pots for the top because they will dry out too quickly. Remember: Easy to make and easy to maintain! 2. 1 8-foot length of 1 1/4” PVC pipe. 4. Exterior latex paint in colors you like. 5. Tools: hacksaw, marker, yardstick and a paintbrush…that’s it! 1. Stick the piece of rebar into the ground and push down so it stands by itself. 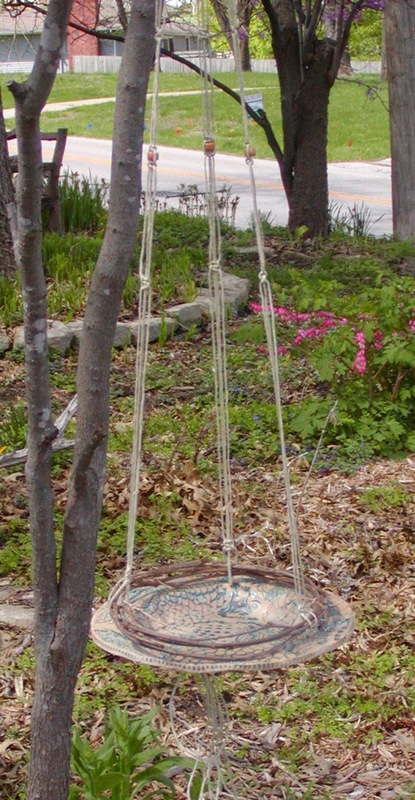 Slip the largest pot onto the rebar and allow to rest on the grass. 2. Slip the PVC pipe over the rebar and down into the pot. Lay the yardstick across the top of the large pot and allow it to touch the side of the PVC pipe. Mark where the yardstick touches the pipe. 3. Then use the yardstick to and place a mark 12 inches further up the pipe. Slip the pipe out of the pot and up off of the rebar. Use the hacksaw to cut the pipe at the mark you just made. 4. Replace the newly cut piece of pipe over the rebar and back down into the pot. 5. Slip the middle-sized pot over the rebar and bring it down the length until it comes to rest against the PVC pipe. Don’t worry if the pot tips to one side or the other. 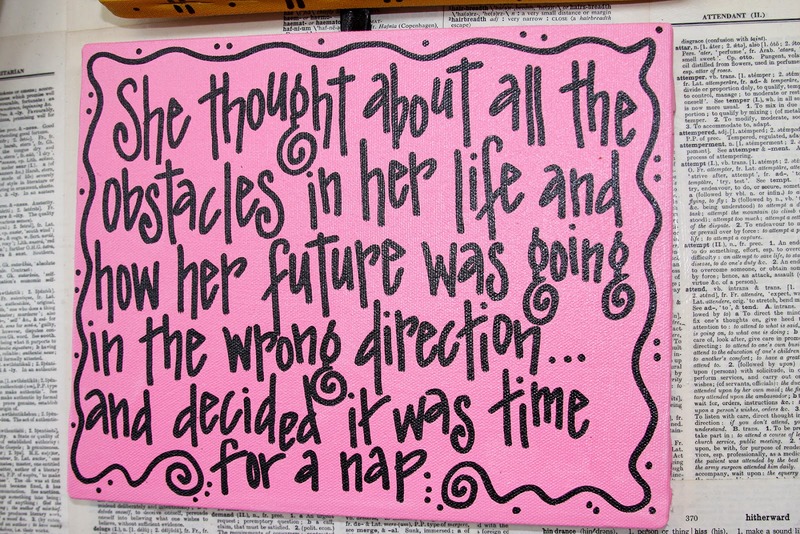 We’ll deal with that later. 6. Now take the leftover piece of PVC pipe and repeat the same procedure you followed for the larger pot, laying the yardstick across the top of the pot and marking where it touches the pipe. This time measure 10 inches from this mark and cut the pipe as before. 7. 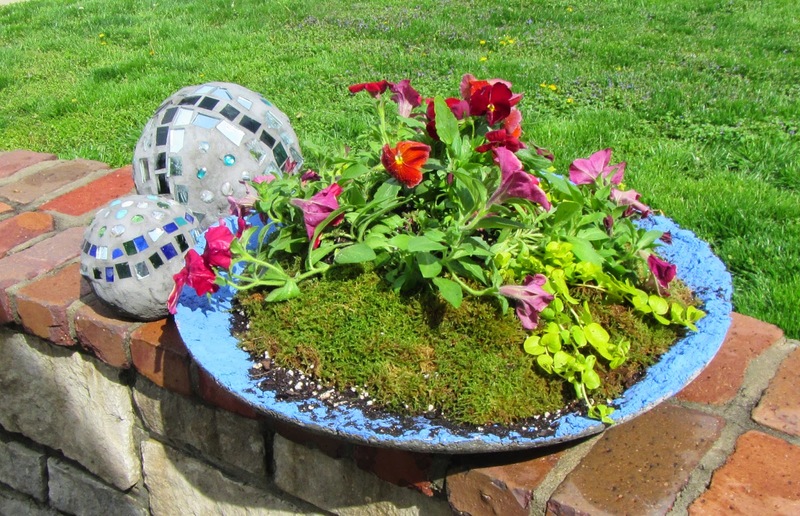 Slip the next pot over the rebar and bring it to rest on top of the PVC pipe. One more time, place the PVC pipe remnant over the rebar and down into the pot. Repeat the measuring procedure and this time measure 8 inches from the top of the pot and cut. 8. Slip the last pipe over the rebar and down into the first of the two smaller pots. 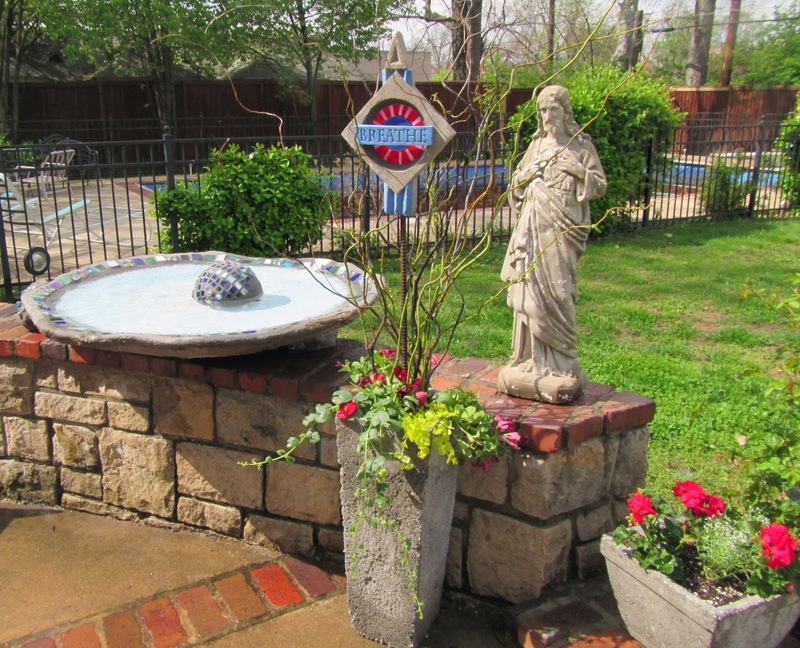 Place the remaining pot over the rebar and allow it to rest on top of the PVC pipe. Ideally, there will be little or no rebar showing at the top. If there is, we’ll deal with that later. 9. 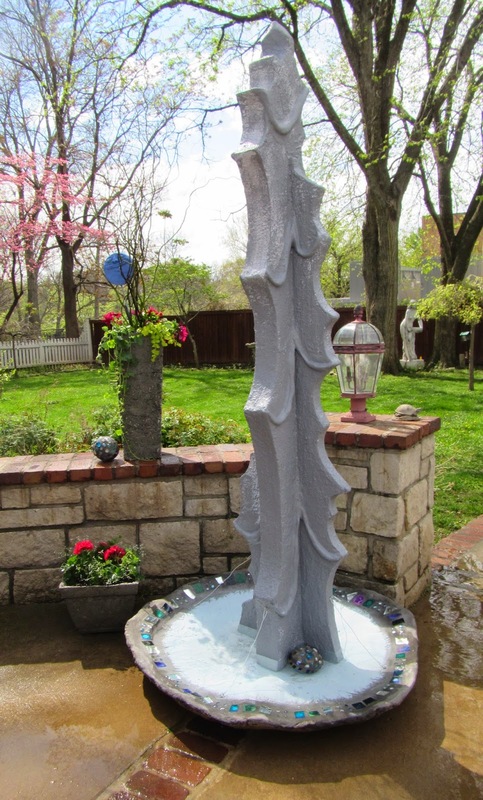 Use exterior latex paint and the brush to add color where you want and allow to dry. 10. While parts are drying, select a permanent site for your totem and get some potting soil ready to go. Push the piece of rebar into the ground where you wish the totem to be and make sure it is as vertical as possible. If you had excess rebar sticking out of the top pot when cutting the pipes, use a hammer to bang on the top of the rebar a couple of times to drive it deeper into the soil. This is much easier than sawing the rebar! 11. When the parts are dry, assemble. Slip the largest pot over the rebar and bring to a level position on the ground. Slip the longest piece of PVC pipe over the rebar and down into the pot. Fill the pot with soil packing the bottom ¾ well to firmly anchor the pipe in the pot. By packing the soil firmly in the bottom of each pot, you will keep the pot from tipping one way or the other. 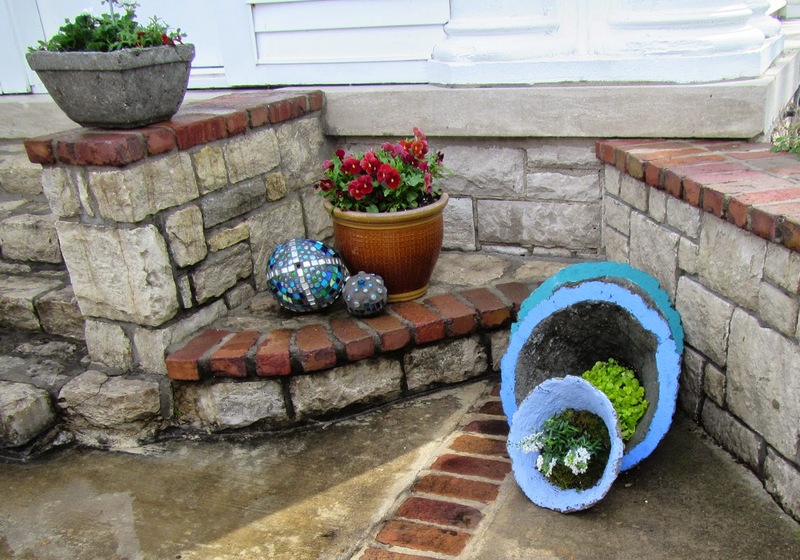 Repeat the process with each of the smaller pots until you’ve built your container totem. 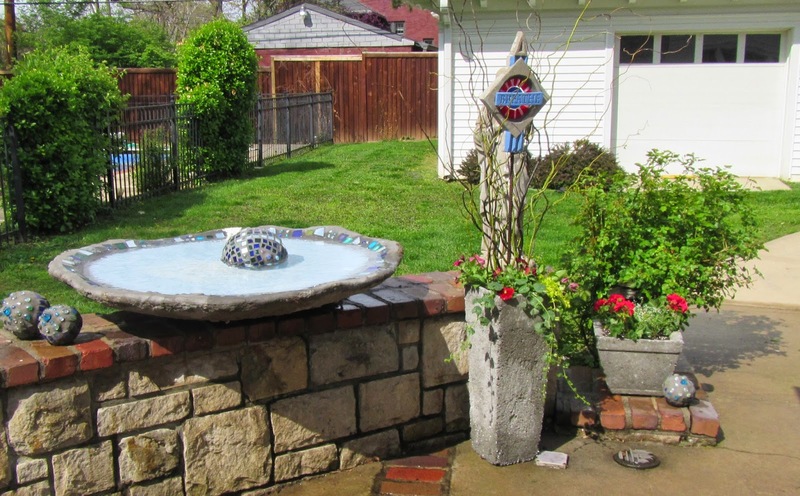 By now everyone is ready to get out and enjoy their yards and gardens. 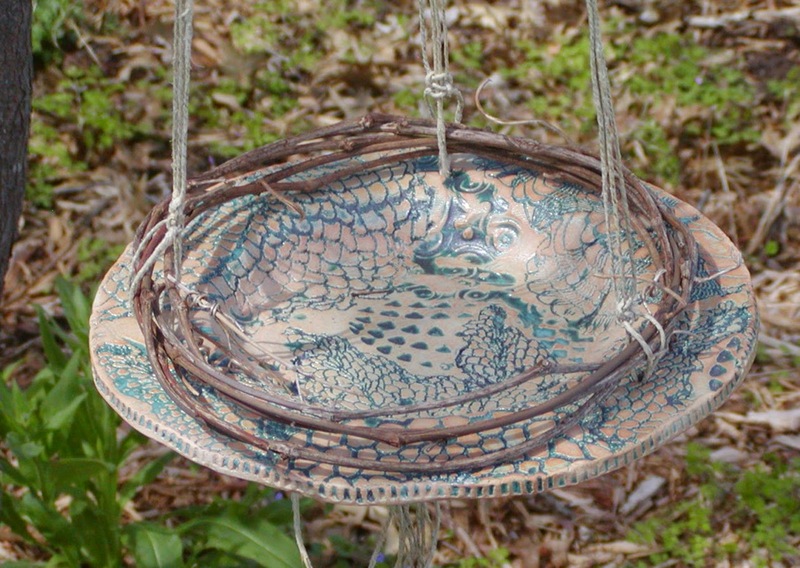 Lynn Baxley has been slaving over a hot kiln all winter creating treasures with your garden in mind. 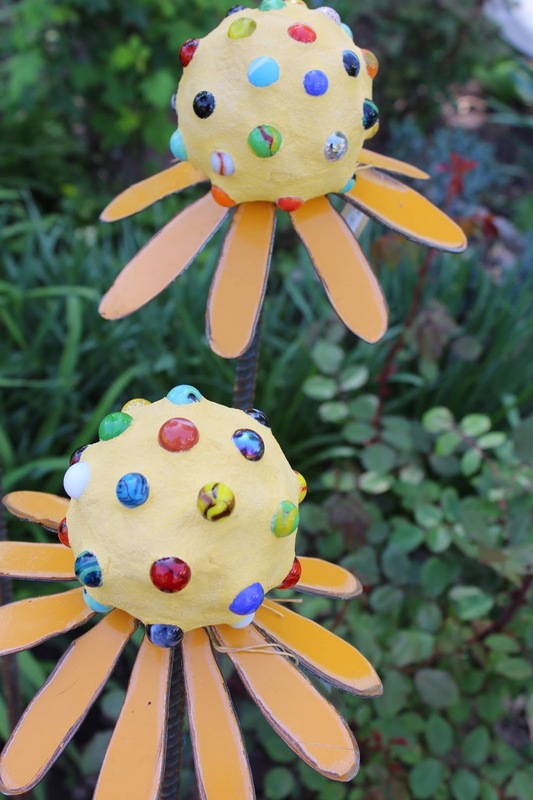 Since everybody loves birds, she has created bird-themed trellis-pole toppers for people and hanging bird feeders for the birds with wild-vine wreaths to perch on. 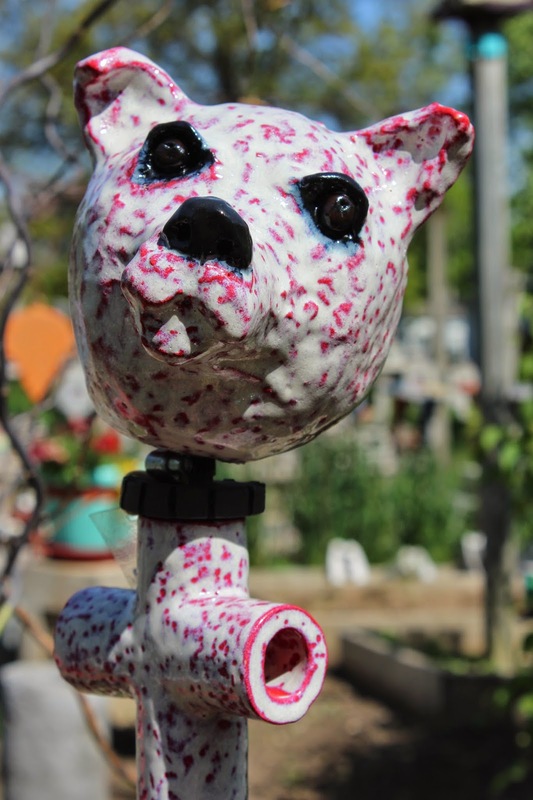 You’re sure to find just the right thing for your garden or a gift for someone else’s garden at Breath of Fresh Air! 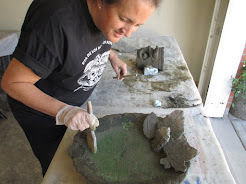 We artists like to try new and different things and Lisa Freeman has been spending her studio time repurposing metal found while “junkin”. 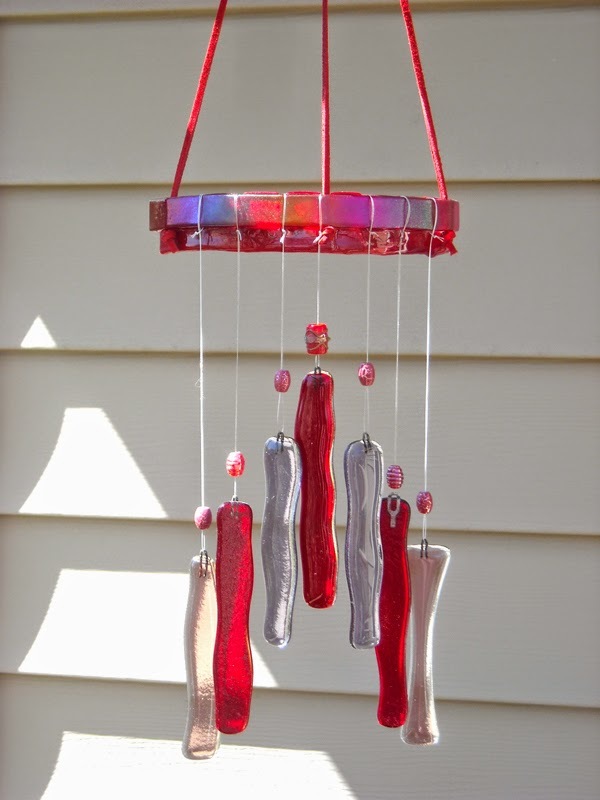 Lisa’s wall pieces and wind chimes will add a bit of whimsy to your life. No worries though. Lisa will also bring her traditional fiber wall quilts and sun catchers to a BREATH OF FRESH AIR. Breeze on in we're open every Friday, Saturday and Sunday in May 10-5. 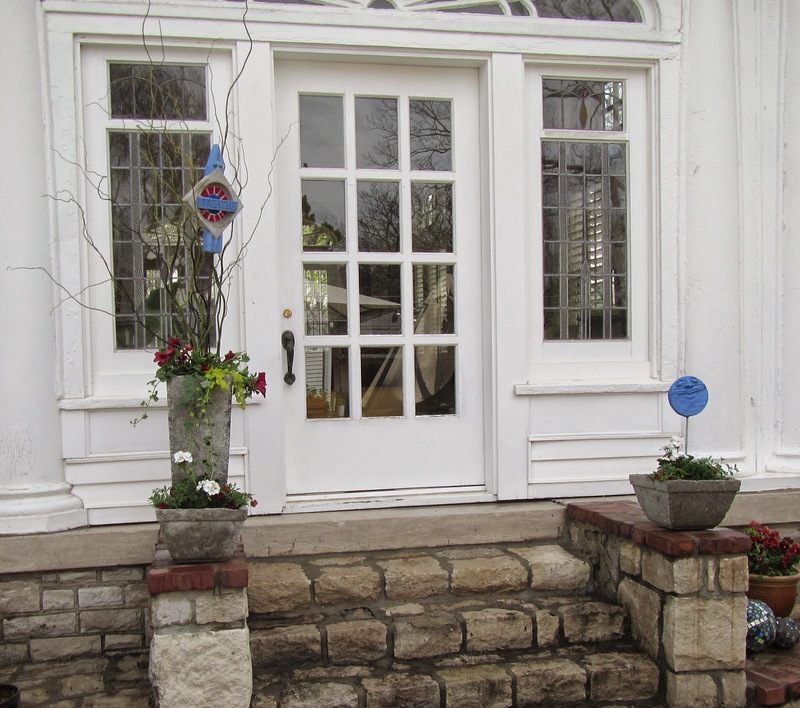 This year's KC Symphony Desginer's Showhouse is just about ready to go on view. They'll be opening to the public Saturday, May 9. 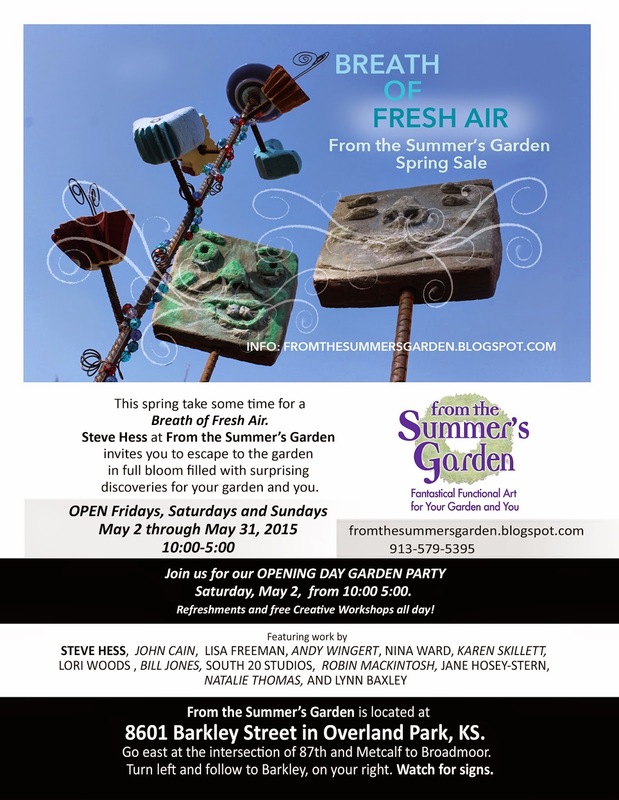 We'll have tickets for sale for $15 at our Opening Day for Breath of Fresh Air, Saturday, May 2. Pat Teeter from Haling's Greenhouse and I just finished work on the back patio this year. Our world today is full of all kinds of tensions. We would like to create a stress free environment as a balance, particularly because we are all connected around the clock, 24/7. We would like to provide a space to disconnect for a while taking a cue from nature, turning down the volume…taking time for a breath of fresh air. We begin the patio setting with soft calming natural colors, titanium and aluminum, as our base colors. 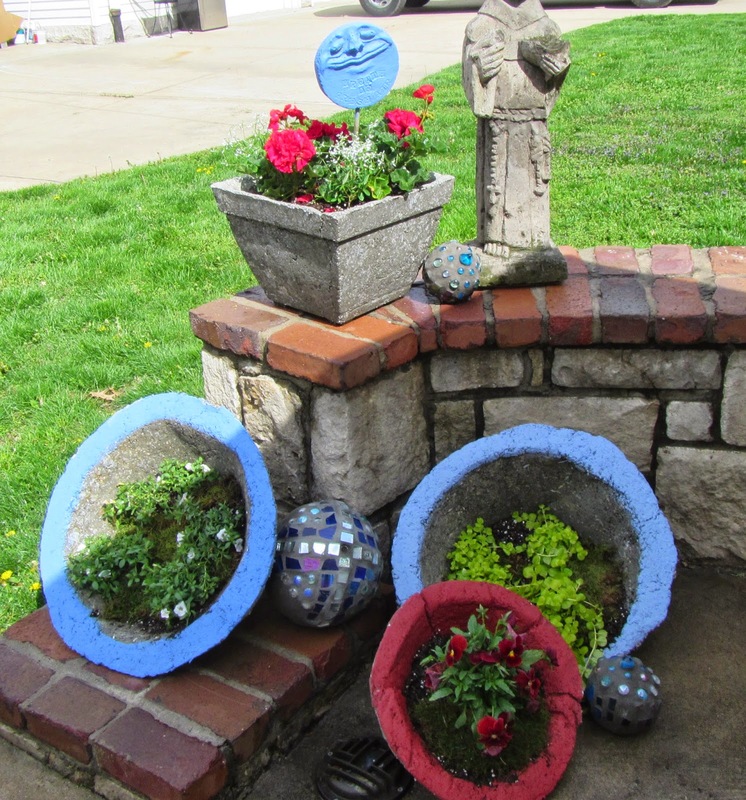 The planting containers, water basins and sculptures made of concrete and hypertufa carry these hues. Colored glass mosaics add sparkle and interest running a range of soothing blues, calming greens and sparkling mirror. Still water in shallow basins invites birds to add animation and natural entertainment to the setting. The simplicity of the hardscape provides a stage for a mixture of annuals and grasses designed to provide controlled thrillers for height, fillers for color and spillers to soften and enliven. New low-maintenance annuals featuring Marsala, the color of the year for 2015, will take the lead accented with greens, whites and deep blues. The patio is an unusual shape in that it is rectilinear on one side combined with a curve on the other. This uniqueness will be enhanced and reiterated by the angles and curves of the containers and sculptures. Indeed, the nesting cone planters follow the curve of the patio. The patio features a wide ledged low wall surround which feature the containers. Placing these pieces to the sides and edges of the patio provides plenty of room for an al fresco dining table, grill and seating areas. The homeowner and her guests can step outside for a time out from the busy day, to disconnect, to pause, to take…a Breath of Fresh Air. 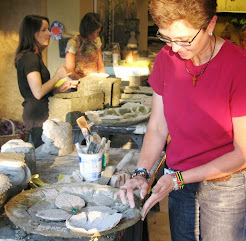 This year for Opening Day at Breath of Fresh Air, the artists are making treats for our guests. Not just regular treats, but comfort foods special to them and made just to make you feel good!. They have created unique, original recipe cards which will accompany the food samples on opening day and on into the sale period. 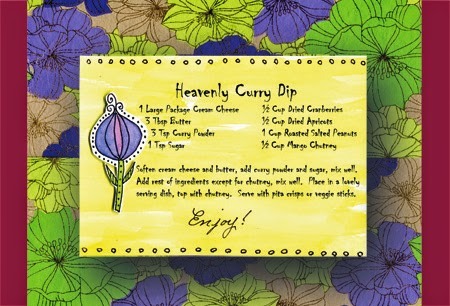 Robin Mackintosh is the first artist to complete her designed recipe card. Pretty snazzy recipe card if I must say so myself. Remember: Opening Day is Saturday May 2! Every Friday, Saturday and Sunday in May. We have a fun line-up of artists joining From the Summer's Garden for our Spring Sale, Breath of Fresh Air in May. Jane Hosey-Stern is the talented, witty proprietor of Junque Drawer Boutique in Olathe. 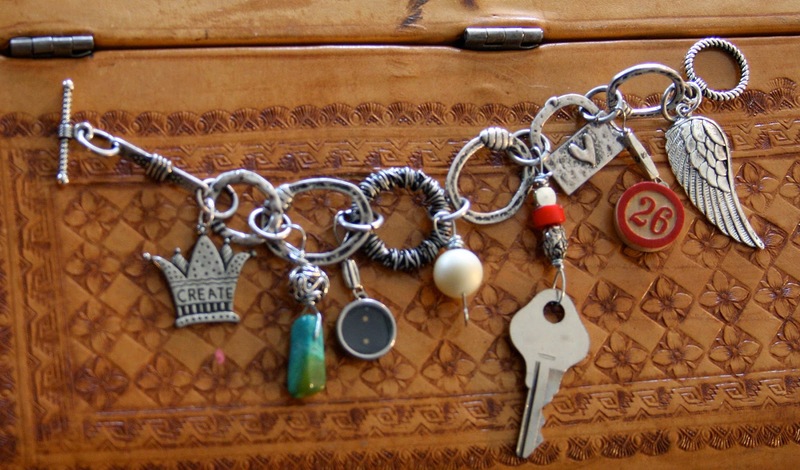 She will have an exciting mix of electlic jewelry and clever message blocks available throughout the month. 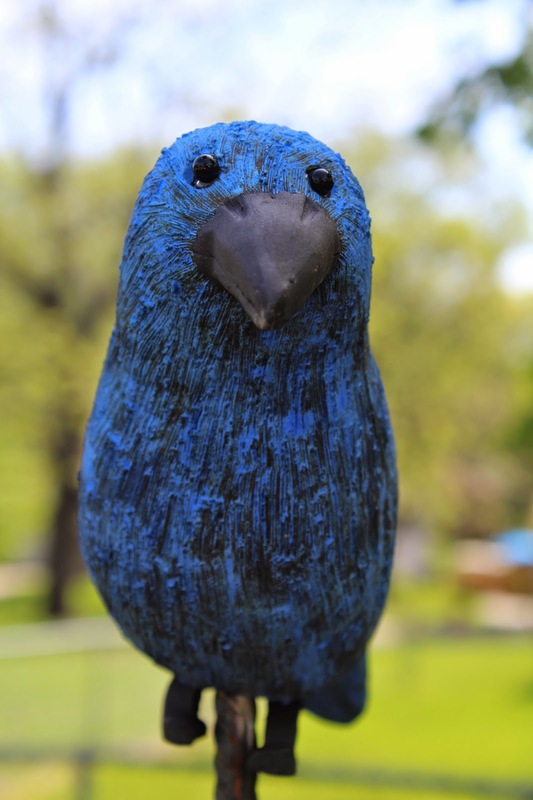 Better yet, she will be making a guest apprearance at our Opening Day Garden Party, Saturday May 2. 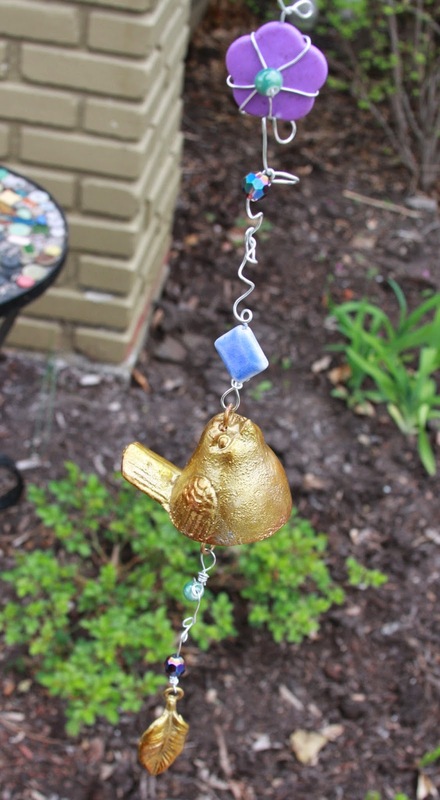 For just a ten-spot, she will help you make a handmade beaded bird chime. How cool is that? Remember:Saturday. 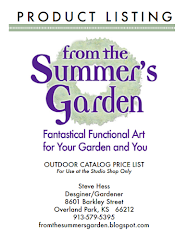 May 2 from 10-2 at From the Summer's Garden's Spring Sale.